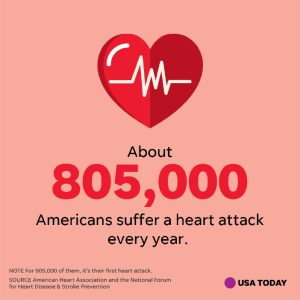 805,000 Americans suffer a heart attack every year. For 605,000 of them, it’s their first heart attack. The US can prevent 1 million heart attacks and strokes in 5 years. Read more.